Designed by two-time Olympian John Morton, the Quarry Road Trails provide six miles of challenging cross-country terrain just minutes from Waterville. WATERVILLE — Before the Quarry Road Trails opened, Joe Reisert would cross-country ski on snowmobile trails, or drive an hour north to find snow-covered ski trails. Same with Paul Begley, a Nordic skier of 30 years. He would drive from Oakland as far as Carrabassett Valley to find Nordic trails. FEATURES: Several miles of groomed Nordic ski trails and ungroomed snowshoe trails. Trails are covered by snowmaking equipment even during dry winters. MORE INFO: Visit quarryroad.org or call 680-4744. Now he drives 10 minutes down the road. It’s a common story at the Quarry Road Trails. Now, many locals go to one place: The 200-acre Quarry Road Recreation Area on land owned by the city of Waterville and managed by the Friends of Quarry Road and the Central Maine Ski Club. In 2011, the city of Waterville received a grant from the Harold Alfond Foundation for $385,000 to develop the land and add snowmaking equipment. Since then, the seven miles of trails and a fleet of snow guns have been introduced. This winter, a second Alfond grant for $202,700 (that the Friends of Quarry Road nearly have secured with the required $142,000 match) will add additional snowmaking equipment and help to build a lodge in three years, said Caroline Mathes, Quarry Road Recreation Area director. “We were making snow all through December. 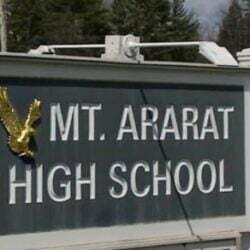 If there is no natural snow, it doesn’t take much man-made snow to open,” Mathes said. 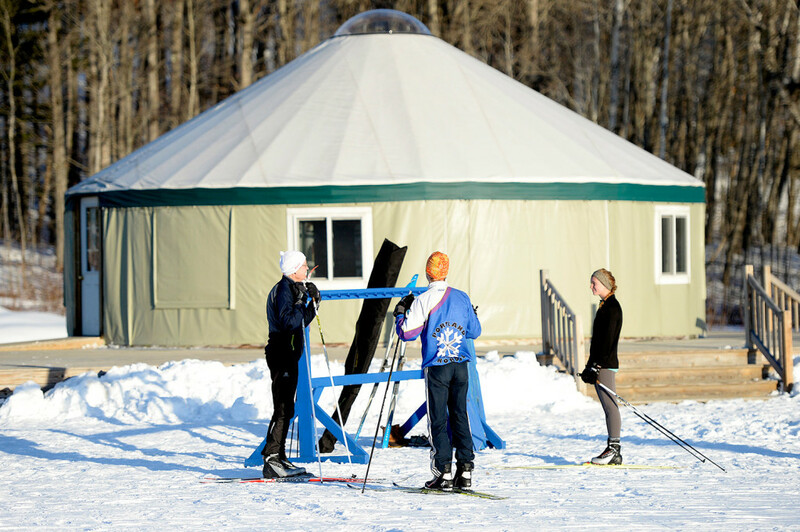 Last year, a welcome center was opened at a heated yurt complete with a fleet of Nordic skis available to rent, as well as food and tables. It’s staffed for 42 hours, mostly with volunteers. This year, it will be open Thursday evenings for skiers who want to ski at night. “If you can ski with a headlamp, it’s great. Under a full moon you don’t even need one. 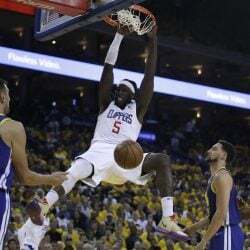 It’s just beautiful,” said Reisert, a skier of 25 years. Eventually, facilities for snow tubing will be built, and mountain bike single-track trails added, Mathes said. The friends group also would like to put in a skiing hill where the old Colby College Alpine team trained from the 1930s through the ’60s. “We are trying to get everyone out here,” Mathes said. Trail passes cost $3 to $10. Season passes run from $25 to $100. All Waterville youth ages 11 to 14 ski for free. And everyone can ski for free on the next Community Ski Day on Feb. 13. Chad Sisson, 41, of Sidney, a skier of 35 years, said he used to seek out snowmobile trails or soccer fields to ski. 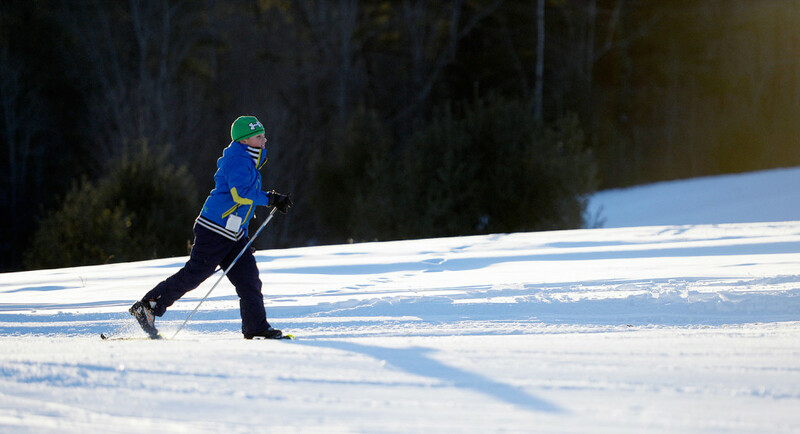 Now he helps the Central Maine Ski Club run youth skiing programs at Quarry Road. But Begley said the Quarry Road Trails, which the Colby Nordic team uses for training, are as challenging as any trails used by college racers. 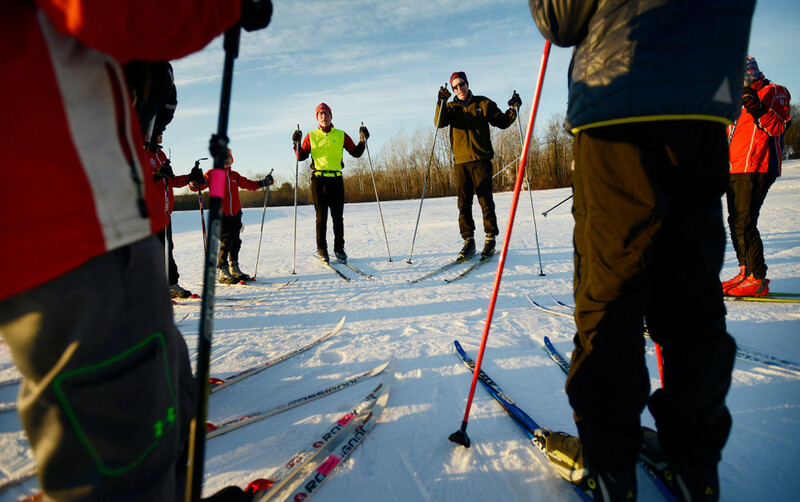 The trails were designed by legendary Nordic trail planner John Morton, a two-time Olympian in biathlon who has developed trails across the country, from Denali National Park in Alaska to the Kingdom Trails in Vermont. 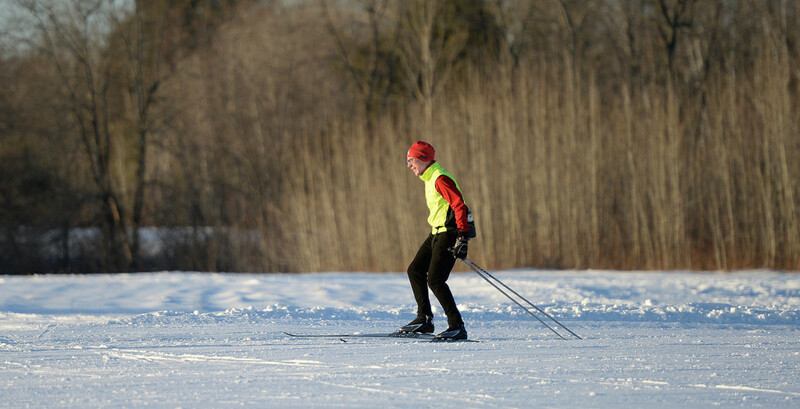 “Colby Nordic skiers and other Colby students volunteer regularly with our club and are essential to the success of our programming,” Sisson said. The facility also offers snowshoe trails, which do not require a trail pass. The snowshoe trails were discovered at the end of last winter by 20-somethings Kevin Bridger, Sam Collins and Kari Derosby. The three friends began this winter after the first snowfall trying out the snowshoe trails. “We learned about these trails last year. I knew the place was back here, but I didn’t know it had trails,” said Bridger, 28, of Waterville. “I didn’t know the snow machines were here. I’m impressed. I’m not a winter-sports fan, but I’ll be back to snowshoe here,” said Collins, 28, also of Waterville. Begley said his wife, a former collegiate Nordic racer, actually prefers the wooded snowshoe trails along Messalonskee Stream because they’re away from the crowds.